I confess to reading this tale during a strange time in my life—newly set in a strange land in a home freshly built, so my review is strongly biased in this light. Part two feels a bit like Ahab’s crew taking the Time Machine forward to a Brave New World with Robinson Crusoe, a land and culture well out of date and coherence, filled with characters all guiding the Pilgrim. The Pilgrim’s last confession at journey’s end is that of repentance—“I destroy my altars! …let me repent, and so be converted, that I may be razed!”—before leaping into the watery depths to rejoin his long-lost true love. This book is for readers who enjoy finding cues of theorists and philosophers, deists, visionaries in literature. 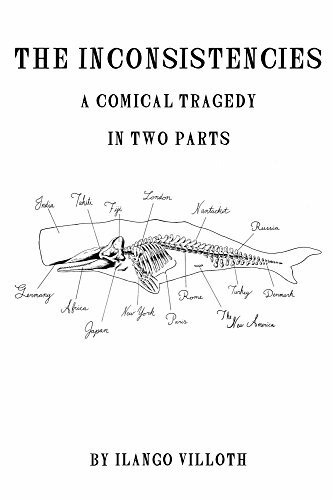 Villroth explains his story is not necessarily “consistent”: both parts make up the whole, a cyclic story of realizing life is full of holes, many of which are self-inflicted, and the search for fulfillment. Highly literary, told in early nineteenth-century-enlightenment style.